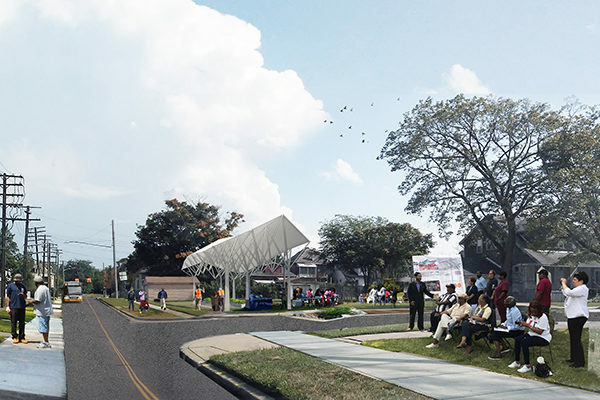 The Seebaldt Pilot (TSP) will revitalize 48204 through implementing a Net Zero Energy district (with innovative energy, water, food, waste reduction and mobility infrastructure), and renewable systems programs for education, workforce development, culture, economy and empowerment for the almost 30,000 low- and moderate-income residents. studio[Ci] LLC is a transdisciplinary design collaborative located in Detroit. Founded in 2008 and incorporated in 2013, studio[Ci] is committed to equitable and renewable design and development in communities large and small. We are a WBE, DSB and DHB. It Starts at Home (ISAH) is a community-based non-profit dedicated to secure, stabilize and sustainably grow the Detroit/48204 neighborhood. Founded in 2014 by three young men who grew up in 48204, ISAH is governed by a seven member board of directors, which includes Constance Bodurow, director of studio[Ci]. Since 2015, ISAH has partnered with studio[Ci] LLC to create a neighborhood vision and strategic design framework and, more recently, to implement the Seebaldt Pilot. This co-creation/production brings together designers, architects, engineers and community members with diverse technical expertise and deep knowledge of the community in support of envisioning and creating a Net Zero Energy district. And Public Realm and Mobility Enhancements.